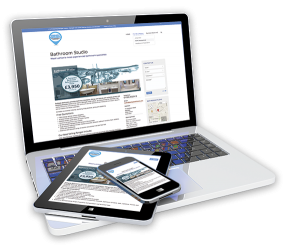 … was formed in 2005 and introduced the beautiful hanging basket displays we see at various locations in Bathgate town centre. The maintenance of the baskets is funded entirely from sponsorship donated by a number of companies and organisations in Bathgate. 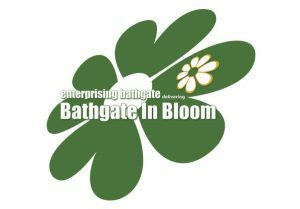 The Bathgate in Bloom Project, along with the Adopt a Station initiative – under the wing of Enterprising Bathgate, continues to grow with 114 hanging baskets adding colour to our town centre. In addition to this Enterprising Bathgate is responsible for the flower beds at the top of Hopetoun Street, the raised bed outside the Regal Theatre, the landscaping outside Albacare, some of the soft landscaping in Acredale car park and the plant troughs and containers situated at the rail station. 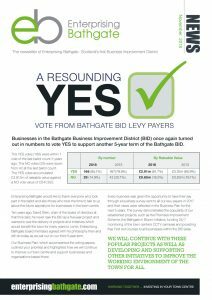 In our recent business survey 99% of responders either strongly agreed or agreed with the statement, “Bathgate in Bloom is an important project which enhances the town centre”. If you would like to sponsor one of our hanging basket columns please contact us today.